Hi there! My name is Jaimee Alster. I am 19 years old and am from the amazing city of Sydney, Australia. My decision to take a gap year to Israel was a very easy and natural decision. I come from a strong Jewish community in which gap years to Israel (after finishing school) are considered “the norm”, and for that reason, as well as my strong sense of Judaism and Zionism, I always knew I would take a gap year. However, for a long time I did not know which gap year program I would actually go on (unlike my friends from back home who [almost] all go n the same well-established (in Sydney) Israel program). I wanted to be apart of a program that would: 1. Help me become more independent (on Aardvark the students have to cook their own meals, clean their apartments, grocery shop, and do their own laundry) 2. Help me become more mature, had a reasonably flexible timetable 3. That would allow me to make friends from all over the world, 4. That would offer the experience of living like a local Israeli. This is why I chose Aardvark. By the way, I made the right decision. There are two amazing cities that Aardvarkians can be based in: Jerusalem and Tel Aviv. 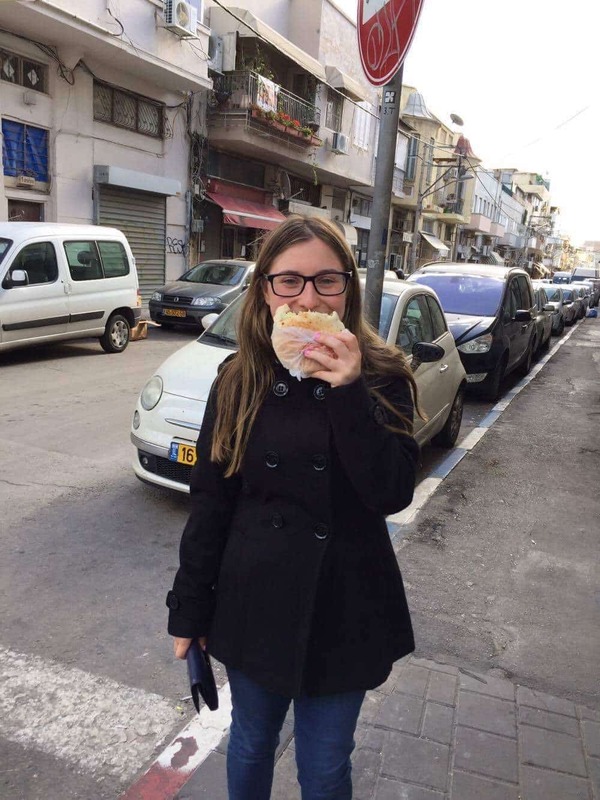 I chose to spend my time on Aardvark living in the most vibrant city in the world – Tel Aviv. I am living in the in Tel Aviv neighbourhood of ‘Florintin’. It has a young and hipster vibe/population. Although I would not consider myself a hipster [AT ALL], I love living here! Every Aardvark student must either volunteer or intern in the morning. I volunteer at Bialik-Rogozin School, located in South Tel-Aviv. The educates more than 1,150 students from grade 1-12. The school population includes low socio-economic status third-generation Israeli born families, work immigrants, new immigrants (including refugees). The school’s main objective is to provide these underprivileged students with opportunities to develop their potential. My role at Rogozin is to tutor English. I have found it very rewarding. However, my limited knowledge in Hebrew has hindered my ability to be the best teacher that I can be. However, the students that I tutor seem to somehow be learning and enjoying their time with me. I can not pin-point my favourite experience on Aardvark as there have been so many amazing experiences so far. Though, most of my favourite ones were made on the first week. This includes when I sat with a group of aardvark kids in a circle and we all introduced ourselves, exchanging names and stories, when I climbed Masada, the graffiti tour I was on, the first night club I went to with fellow Aardvarkians, and something that only happened recently – my Aardvark experience in Germany (Aardvark offers its Aardvarkians to travel to certain places. They call it the ‘international route’). To finish off, I want to leave the future Aardvarkians with some words of wisdom: 1. Aardvark offers its students a lot of free-time… so get out of the house and explore Israel 2. Enjoy every second of the program and Israel. You will never ever have such a unique experience again. 3. And this one is very important… talk to former Aardvarkians about how the Aardvark program actually works, the do’s and don’t’s to have the best time in Israel, and how to survive and thrive on Aardvark.